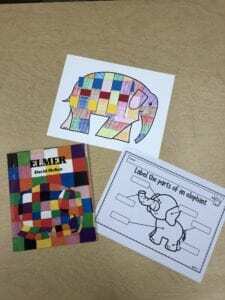 September 27th- Today we read Elmer, a classic story written by David McKee. 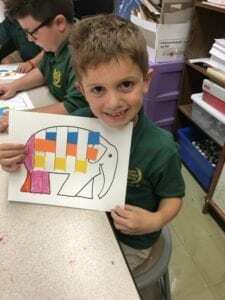 Elmer is an elephant unlike any other. He is covered in beautiful patchwork colors. 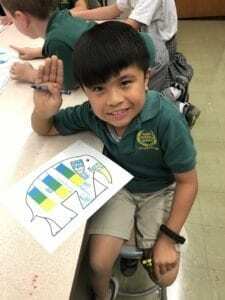 The Elmer series teaches children that it is okay to just be yourself and friends will always love you for you. 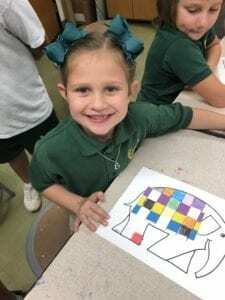 To accompany our book, we weaved our own patchwork elephants and learned about the text feature: diagrams. We labeled our own elephant diagram.